Welcome to Day #6 of Chocolate, Enchanted Islands and Pirates Theme Week. 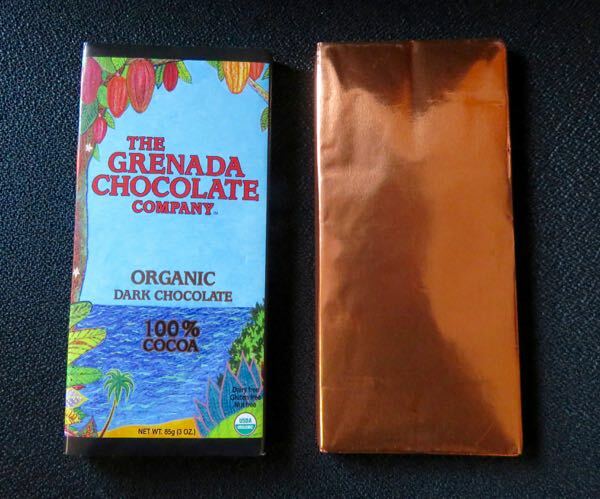 Today's 100% Cacao bar from The Grenada Chocolate Company (Grenada) was made in the same country ("in-country" or "on island" in this case) where the cacao was grown. 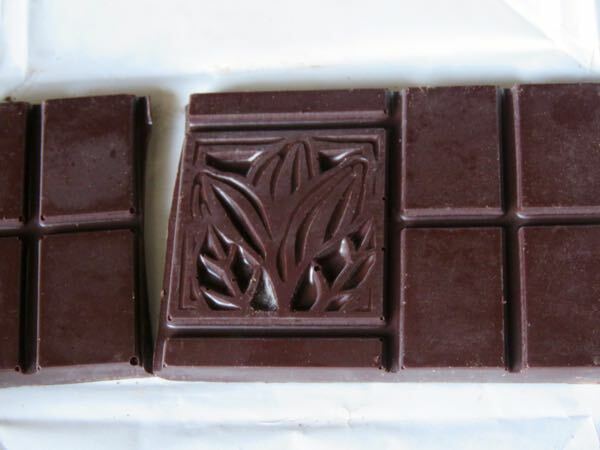 This pioneering tree-to-bar company was found in 1999. 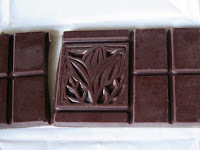 The thick chocolate bar had a slightly graduated melt and texture (thick and creamy, then almost gummy, with a very slightly granular finish). 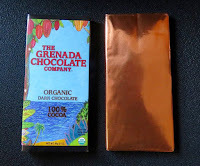 The dairy free, gluten free, nut free and organic bar had a subtle dark chocolate aroma, and (as one would expect from a 100% cacao bar with no sugar) some bold, dark taste with acidic/tart/sour and bitter notes, and no real "off" notes.